Head Out Of Space | An artist run initiative, that gathers and considers the various approaches for finding and making spaces to be creative. Why HOOS – what’s the project about? HOOS is a grass-roots initiative that will use DIY tactics, and low-or-no-budget support (not that I don’t want there to be a budget) to execute artistic interventions, host events, and have art happening in places. The aim is to raise awareness within our communities about what artists go through to make art and how they find and use space. Because I think that art is not being considered or valued the way it should be. This is my perception and the perceptions of a lot of people I have interviewed. There is already news-talk of further imminent cuts to the arts, and there seems to be less affordable space available for artists to create. There is less arts education available to young people in schools, and it is not valued as highly as maths, science and English. If you take tertiary–level study fees into account, there is also less art education available to adults due to fee increases. So, overall, accessibility is a problem. But why is art needed in society? Why should it be supported? Is it as important as maths? Yes it is. I think that the art-making and the liberal arts or humanities is absolutely key to the way we innovate, and consider our place in the world, to be able to solve problems. There are different ways of learning and not everyone thinks along the same lines of logic and reasoning. I think that also, on another level, art is essential to how we build our self-respect and the respect for the places we inhabit. If art is out there in the community and the place is vibrant and creative, you are going to like where you live. You are going to feel good about your place and respect it. Maybe, you will be inspired to be creative within it also – that’s an engaged mind-set. I think the simple act of creating, whether you consider yourself an artist or not, will make you feel very good inside. There needs to be a mix of thinkers in society, with different approaches. What kinds of issues and problems have you seen in your every-day life? Right now, there is a problem not just for artists but also for many Londoners, that it is getting harder to live in the city, and finding space to live and to work, is really difficult. Artists, on the whole, don’t tend to have large salaries – some are paid a pittance or work for nothing – so therein is another issue. It’s not just about whether you can find space to be creative, it’s also about whether you can possibly be paid enough. Those artists who want to be engaged with their community in terms of outreach work, education and enabling, need to be paid and better supported. There should be more recognition that artistic output and community contributions generate catalysts for neighbourhood improvement. If artists are enabled with some fundamental services, money or support, they can actually do what they’re supposed to do – make art. So what are the solutions then? The concept of ‘centre’ is a big question. Do artists need to live in the centre? 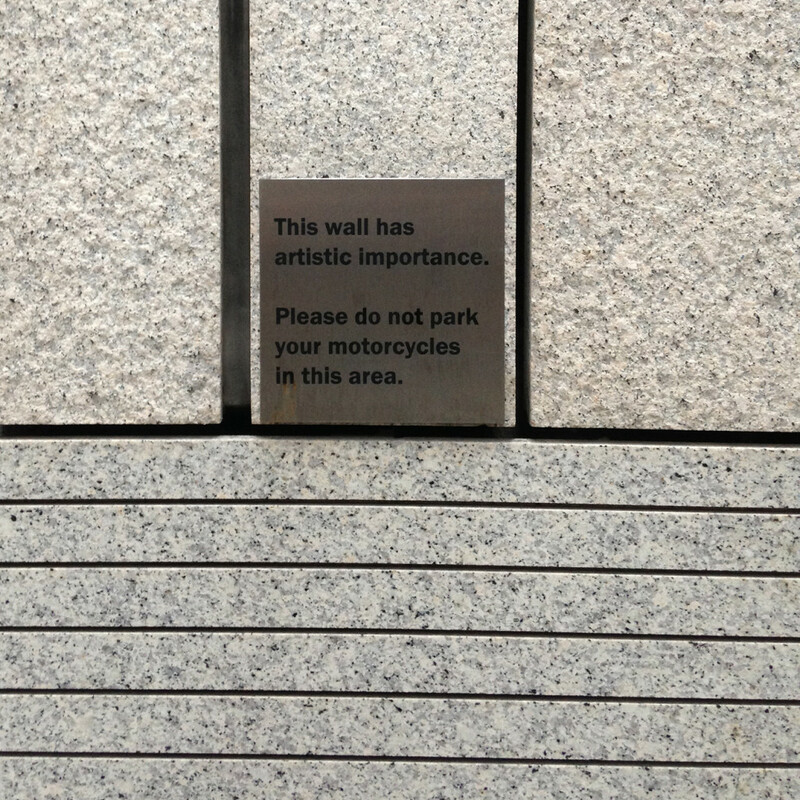 Does London have to be the artistic centre? Do we make other centres happen? Where artists can afford to live and work? There should be some sort of workable relationship between artists, landlords, developers and local authorities to provide space, and developers and LAs should be taking a long-term view with their plans for places – not strategies for short term financial benefit, but proper consideration for community lifestyles and buildings 10, 20, 30 years along. Should they be investing now in artists? Yes. I think also, that artists can take some power themselves and be ingenious activists in their approach to occupying space. Doesn’t Brixton benefit from the influx or artists that came here as squatters decades ago. How do you see current young artists influencing social change? Brixton has a rich history of activism. For decades, local people have taken hold of key issues, driving to make positive change happen. Art has played a role in that through the activities of various pioneering community-engaged artists. I think this energy has become diluted over time. There may be problems with the way art initiatives are farmed out through organisations and groups, in that some programmes available to people are not making them really think critically about their purpose, through art. Ideas are assimilated and watered down. Where’s the integrity of well-considered critique? We need to be inspiring and growing interesting artists. Get properly paid artists and educators to help with this. But what about creative industries championing e.g., London’s model for ‘creative industries’ and the benefits for UK artists? There are certainly more alternative, creative workspaces available and models that help desk-based artists and creative people, which is great. But artists, in the fine arts sense, or makers, aren’t considered in this. I myself, am no fit with the creative industry business model. How much is the artist expected to adapt to such a model – where is the art in that? There are other ways to look at sustainability that aren’t simply to do with bringing in money through commercially viable art. You kill off artists this way. Sustainable solutions also need to be implemented at a community level where artistic innovation and creativeness is nurtured, so that the legacy of healthy and inspired populations is a certainty. If artists and their work is more visible, peoples’ ability to understand art can be greatly expanded so that they are able to grasp a much greater visual language. Because it is generally felt that artists are not considered in this creative industries bunch, there has been noticeable activity from artist communities to conduct studies and be vocal on pointing out that there is a significant group of people who are not considered in the stats, policies, city plans, curriculums, and so on. In terms of HOOS, it grew from ideas about space. How has it grown in other directions? Yes, because from space, comes a whole lot of other issues. We need space to create, then we need to work out what to do with all the stuff created in that space, where to show it, the potential audience, funding – all these things come out of there. For example, the recent art installation I organised, deals with the visibility of artists in their communities and their control over their imagery. Their donated images are given away with challenges on the back about how the person who has taken away the image considers the artist’s value etc. The take-away fragment is given in exchange for advice and solutions, on all that is being discussed here. In brief, what does the project consist of? There’s this website also, and it will initially house the research I have undertaken which is a series of interviews with people who are not only artists, but makers, craftspeople, designers, creative people, theorists, urban designers, politicians, decision makers, educators – but predominantly artists. So the website will house these interviews, it will serve to organise and advertise events. It will raise awareness. You started as a single artist – how will this project grow? What’s the plan? I always thought it would be great if I could somehow branch this out to other people who could also be responsible. This is activism, so it needs people, energy and time to change governing ideas and politics. It is key to collaborate with as many people as possible and I certainly don’t need to lead the idea. I’m building on how to think about and get availability to spaces and networks, and opportunities to expose artists’ work.